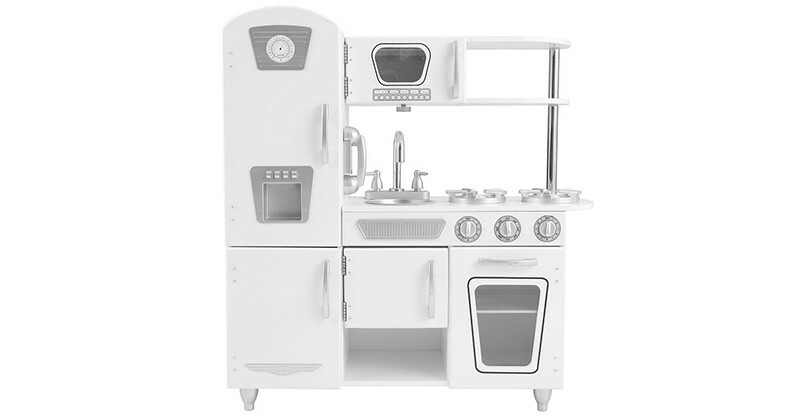 If your recipe for the perfect toy kitchen calls for a distinct retro vibe, this brilliant white beauty gets our vote for mini Masterchefs. 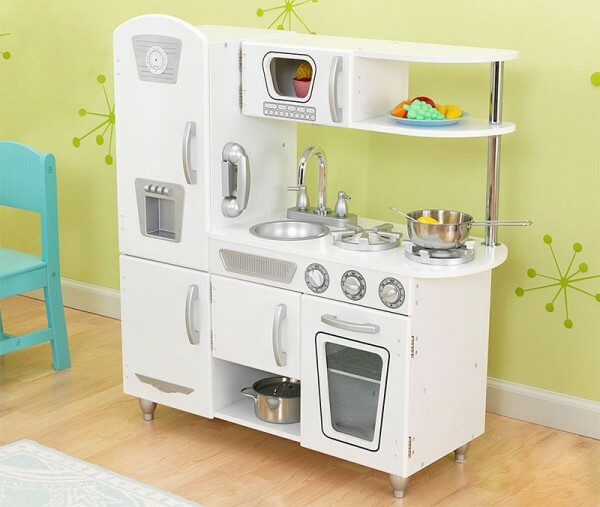 The KidKraft White Vintage Kitchen is vintage in name only – little ones can enjoy all the mod-cons of a pretend ice maker on the fridge, microwave and deep sink. The kids can even take a call while cooking with the inbuilt telephone, so have your dinner order ready to ring through. Pretty as a picture in plain white with chrome look finishes, this kitchen includes plenty of storage which means there’s finally a home for all the pots, pans and pretend grocery items that pint sized foodies inevitably come to collect. 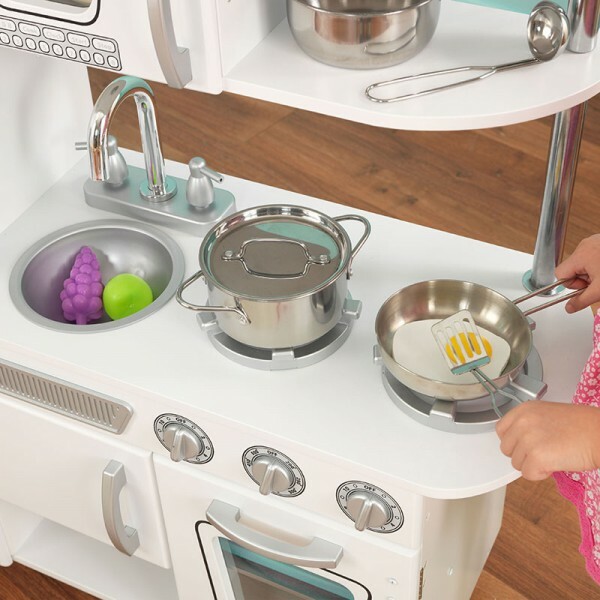 The KidKraft White Vintage Kitchen is available locally at Knock On Wood Toys, priced $251.90.